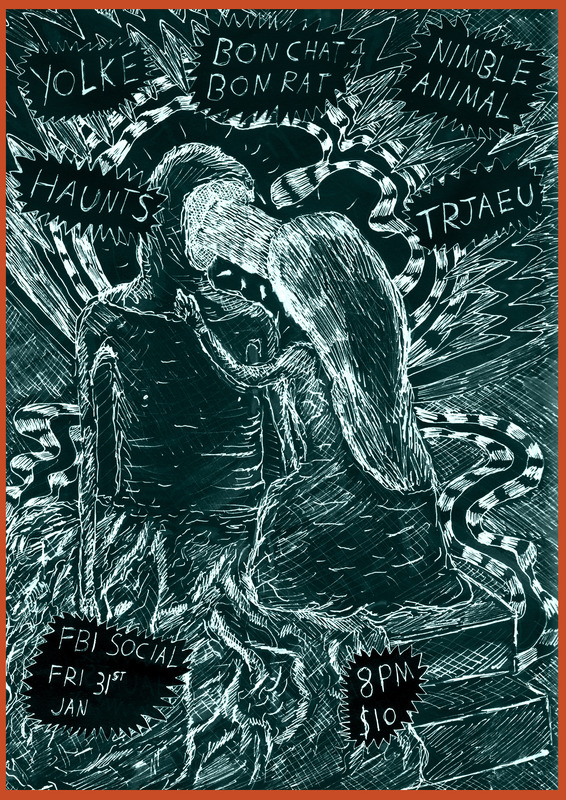 We are joining forces with Melbourne label Fallopian Tunes for a special showcase at FBi Social in Sydney on January 31st. The evening will play host to a bunch of great artists from both labels including Bon Chat, Bon Rat, Trjaeu, Nimble Animal, Yolke and Haunts. If you are in Sydney on Jan 31st be sure to get down to FBi Social at the Kings Cross Hotel – 248 William St, Kings Cross. As a teaser to the evening check out the tunes below from some of the acts playing on the night. This entry was posted in Events and tagged bon chat bon rat, fallopian tunes, fbi social, haunts, nimble animal, trjaeu, yolke on January 9, 2014 by feralmedia2.